Law for Life / What is PLE? Public Legal Education (PLE) covers a wide range of activities aimed at empowering participants, and increasing their confidence and capability to deal with their law-related problems. From community based courses, theatre performances, step by step guides, awareness-raising campaigns about rights-issues, to law reform campaigns. Better knowledge of rights and legal issues empowers individuals and communities, enabling them to take more control over their lives, deal with their problems, participate in the democratic process, and get involved in shaping the decisions that affect them. Public Legal Education has links with community development and education and complements legal and advice services. Law for life has worked with many organisations to provide training for intermediaries, informal advisers, or problem-noticers as to how to help the people they come into contact with deal with common legal problems. 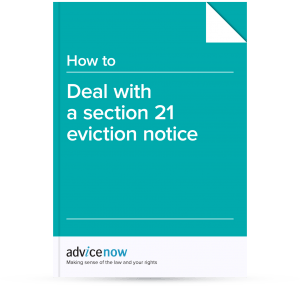 Most recently, Law for Life has been commissioned by the TDS Charitable Foundation, to deliver training courses and self-help information for those who work with private tenants about how they can help their clients to understand how to deal with disrepair or a Section 21 eviction notice. Frequently these projects focus on helping people to recognise and tackle problems earlier, before they escalate and spiral, and to develop the skills to stop problems reoccurring. ‘Flat Broke’ is project which uses interactive drama about housing and money issues to develop young people’s capability to deal with their legal problems. The project combines elements of live theatre with dynamic and interactive discussions and role-play to engage participants in producing a highly effective learning experience. It tries to take away some of the feelings of helplessness, frustration and anger that many young people might feel when faced with a law-related situation, and explores different ways of approaching problems and effective/less effective methods for solving it. This project is delivered by Theatre ADAD and Law for Life in partnership. We see information that empowers individuals to take action as a crucial part of Public Legal Education. This type of information doesn’t just tell people about the law or a few facts about a benefit, it raises awareness of the issues involved, and increases the knowledge, confidence and skills of the user so that they can make informed decisions and take effective action to solve their problem. For examples of what we mean then look no further than our award-winning website Advicenow. All our information not only tells the user what to do, but shows them how to do it, whether it’s a short film or a long step-by-step guide to dealing with your problem without the help of a lawyer or adviser. Almost two-thirds of the UK population are unaware of basic legal rights or the processes by which they are enforced. Often, the people who are hardest hit are those who already experience some disadvantage, for example disabled people, people with literacy problems, the homeless and older people. By building rights awareness, skills and confidence, public legal education enables people to manage common problems, access services, secure their rights and help them to seek redress when things go wrong.